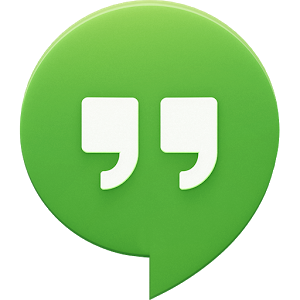 We saw Google Voice integration go live last night, but it contained a number of issues which this update is expected to fix. Yet as exciting as this is, what's more immediately striking is the new visual redesign. With the amount of smudging this post required, I feel like I've been working on classified documents. 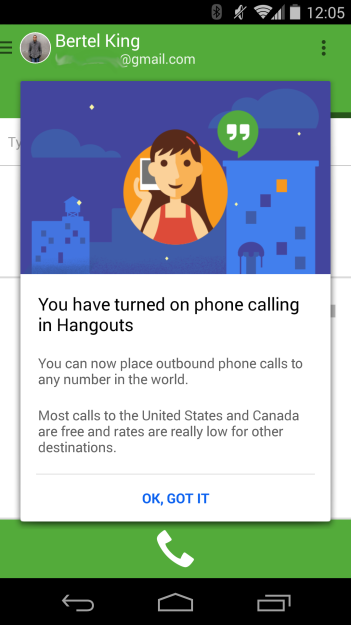 The new version of Hangouts plasters your email address absolutely everywhere. It's not an issue when using the app, but it does make for some rather swirly screenshots. Right out of the gate, the new UI is significantly greener. 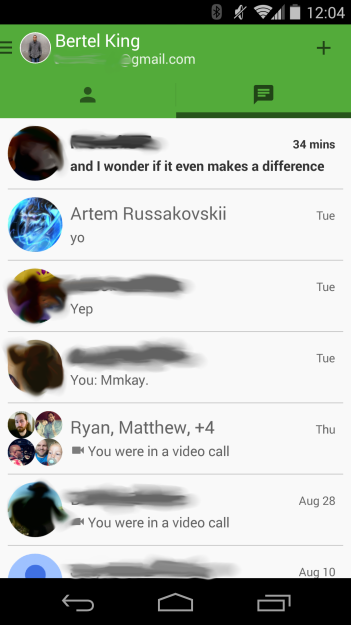 As Google prepares Hangouts for the next version of Android, it has made the app much more colorful, and the toolbar now has a vibrancy that it previously did not. 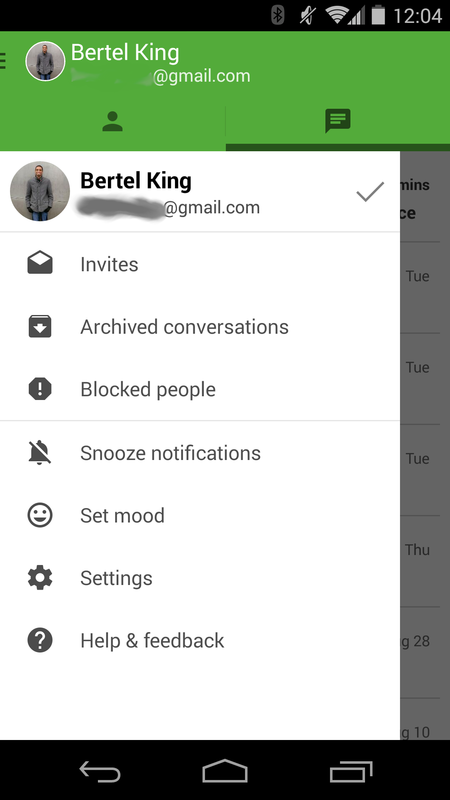 Functionality-wise, the more pressing change here is the addition of tabs. 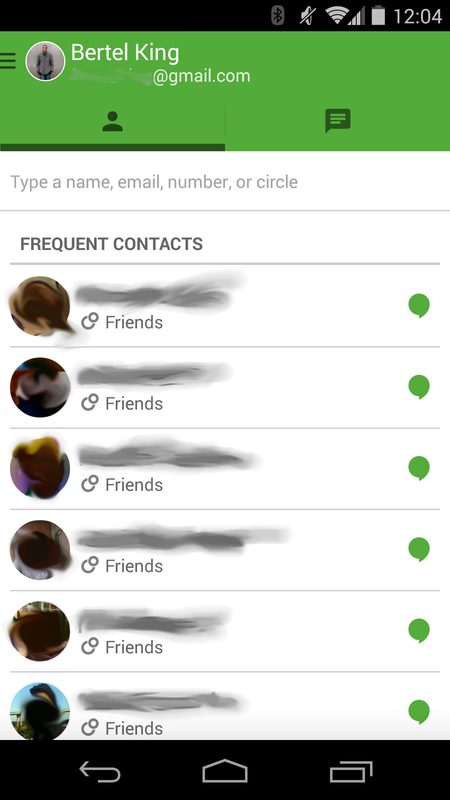 By default, there are two: a contacts tab and one listing your previous chats. Swiping now switches between tabs, so the old swipe-to-archive functionality has kicked the bucket. 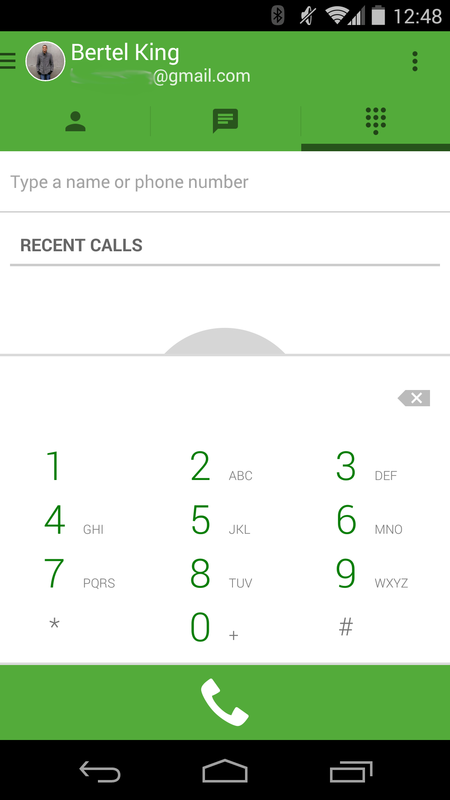 If you install the new Hangouts Dialer, the number of tabs jumps to three. Despite its own Play Store presence, the Dialer isn't its own dedicated app. 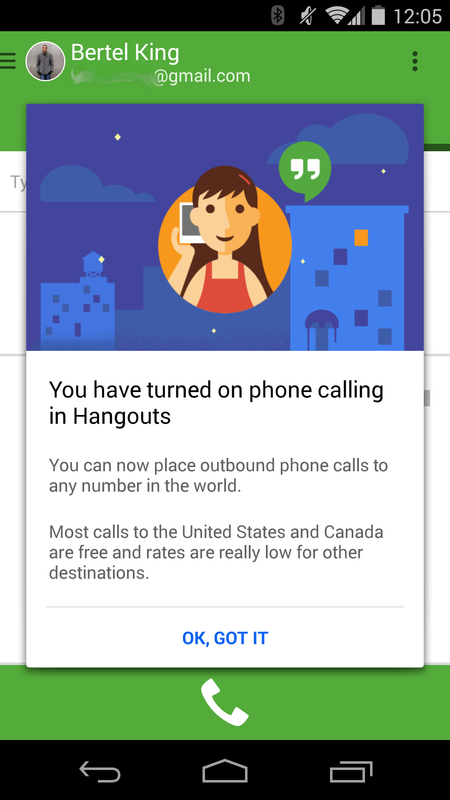 It merely links to Hangouts' voice tab. Enjoy the extra icon in your app drawer. 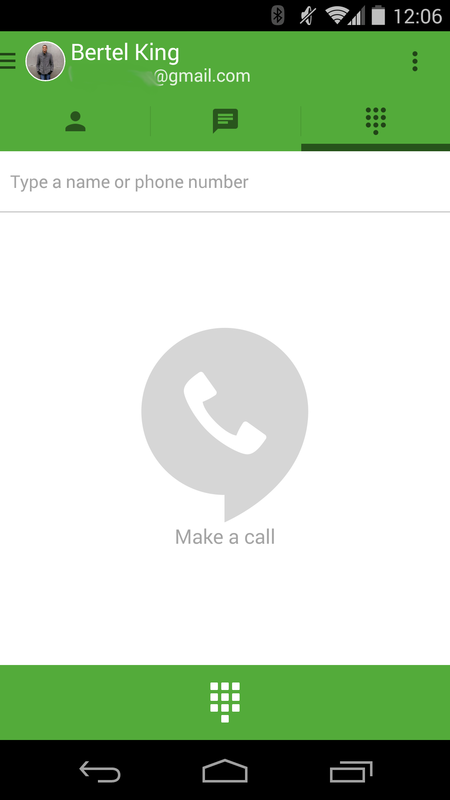 Google Voice integration makes its presence known within the app's settings. If you meander over, you will come across the option to ring Hangouts for incoming calls to your Google Voice number. 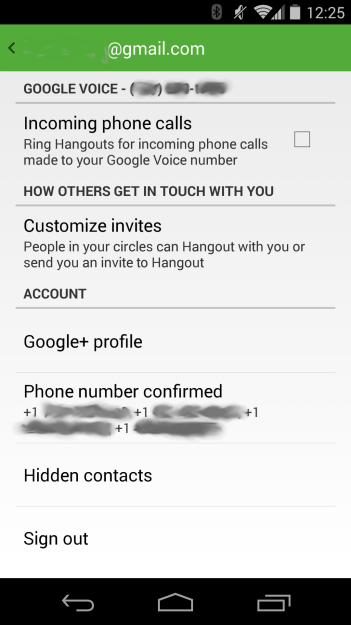 According to the provided Google support page for integrating Voice with Hangouts, when new voicemail messages arrive, a new unread notification will appear at the top of the Hangouts list with the voicemail icon in the message. You can then click on the play icon to listen to the message. We've waited a long time for this, so if you haven't already done so, feel free to scroll down and show any of the three mirrors below how badly you've wanted to access Google Voice from Hangouts.